When you’ve spent a lifetime building your business, you’ll want to know it’s being looked after by a safe pair of hands. Whether you’re building a succession plan, looking for new ways to grow or even selling your practice, you’ll want a trusted partner who can help you build on what you’ve started. The first step is to have an independent valuation. Leightons will then discreetly carry out our own assessment and consider whether a shared ownership partnership might work. We’ll agree a value with you for a percentage of the shares you can hold. And if you’d like to purchase more in the future, you can agree the framework and timescales of that, too. Our Succession Plan is flexible. So if you’re getting ready to retire, together we can steer profitability and hit agreed milestones which let you transition out of the business while giving you the chance to earn or sell your remaining shares when you’re ready. Or, if you’re looking for new ways to grow, you can benefit from a profitable growth plan (with a 90 year track record), increased buying power and a central support function with all the help you need in areas like finance, marketing, HR, training, development CET, IT and more. We can even help you set up additional revenue generating services like hearing care. You can keep your own brand. Or switch to ours – if we both agree there’s mutual benefit. When you’re ready to take your business to the next level, contact Lindsay Fairhead or Ryan Leighton on 01252 823400 for a confidential chat. 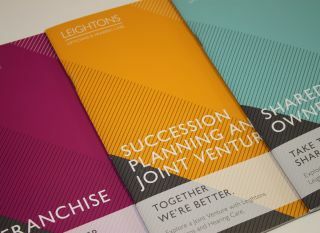 Leightons Succession Planning model is suitable for businesses owners with annual sales in excess of £400,000.